Sarah L. Bloom MSN, AGACNP-BC is a Nurse Practitioner for the ICU Recovery Center at Vanderbilt. She received her Bachelors of Science in Nursing from the University of Michigan in Ann Arbor and a Masters of Science in Nursing from Vanderbilt University. She is a board certified Adult-Geriatric Acute Care Nurse Practitioner and completed Intensivist sub-specialty training during her graduate studies at Vanderbilt. 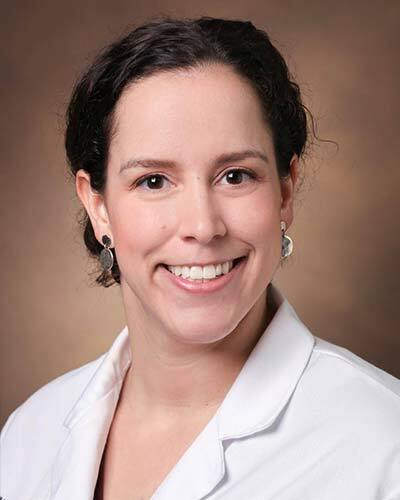 She has worked as a critical care nurse in the Surgical ICU at Vanderbilt University Medical Center (VUMC) prior to joining the Medical ICU Nurse Practitioner team in 2014. Aside from being interested in optimizing the long-term outcomes of survivors of critical illness, Sarah is interested in point-of-care ultrasound use for critical care clinicians and ongoing education for advanced practice providers within critical care. She currently works nights in the MICU and staffs the bi-weekly ICU Recovery Clinic. For more details of her work, please contact her for a copy of her Curriculum Vitae.